WALKER, George and William BOYS. 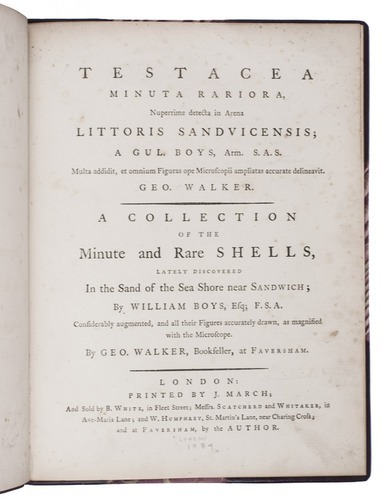 Testacea minuta rariora, nuperrime detecta in arena littoris Sandvicensis; ... | A collection of the minute and rare shells lately discovered in the sand of the sea shore near Sandwich. London, J. March, . 4to. 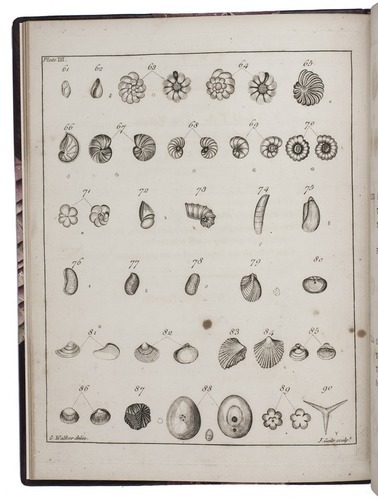 With 3 engraved plates depicting 90 species of shells. Later purple, gold-tooled half morocco. 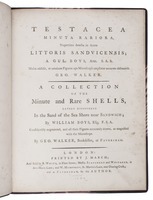 First edition of a work on tiny and miniscule shells found at the seashore near Sandwich (Kent) by the naturalist, surgeon and topographer William Boys (1735-1803). 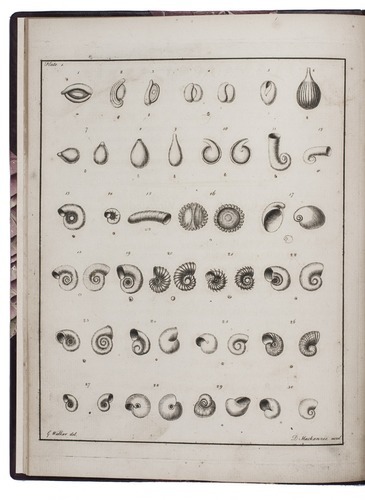 The shells are depicted on three engraved plates ater drawings by George Walker, who studied the shells under the microscope. 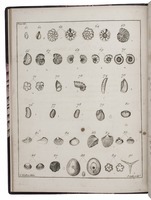 The text-pages contain a brief description of each shell, with text in both Latin and English. 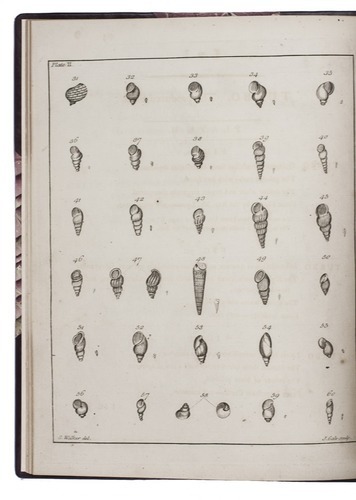 The work starts with a dedication to the Duchess of Portland and Sir Joseph Banks (1743-1820), the famous naturalist who took part in Captain Cook's first great voyage, followed by an introduction. Some minor spotting, otherwise in very good condition. 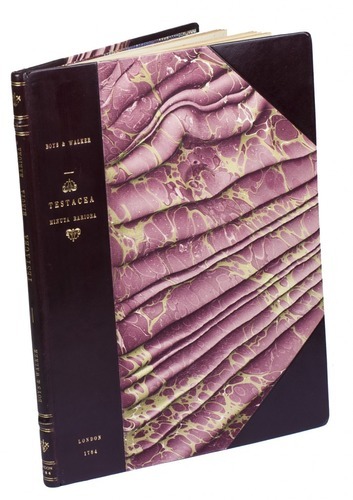 ESTC T97429; Nissen, ZBI 524.